Ferrari shows a resurgence at COTA, but will it be enough delay Lewis Hamilton's coronation on Sunday? Saturday’s qualifying for the United States Grand Prix saw some long-awaited positive signs of life from Ferrari in the fight with Mercedes for the Formula 1 championships in 2018. Sure, it may have come when Lewis Hamilton is at match point in the drivers’ title race, but there is at least the hope that we can have an entertaining run of races to see out the season, matching the promise we held earlier in the year. 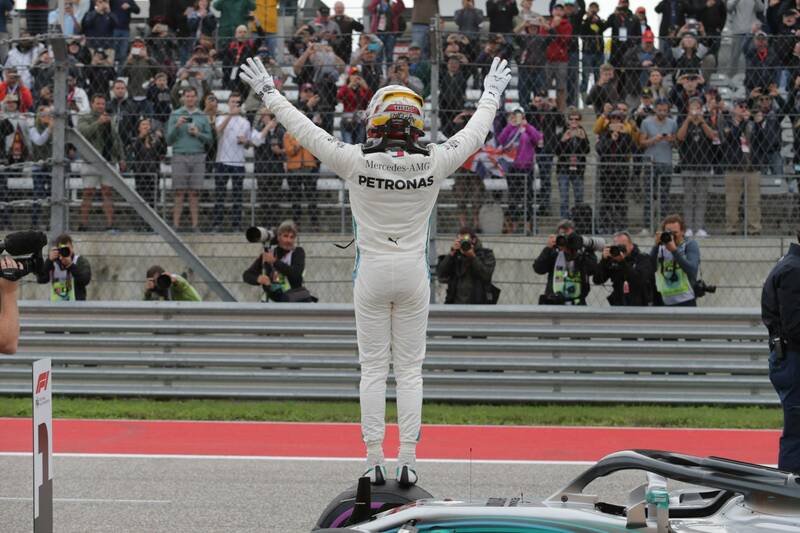 The Circuit of The Americas has traditionally been both Hamilton and Mercedes country through the years, with both parties being unbeaten on Texan soil since 2013. Hamilton himself has lost just once in the United States (that 2013 race to Sebastian Vettel) making victory and a coronation as F1’s third five-time champion on Sunday seem like a mere formality - even more so when Vettel was hit with a grid penalty for failing to slow for a red flag in practice on Friday. 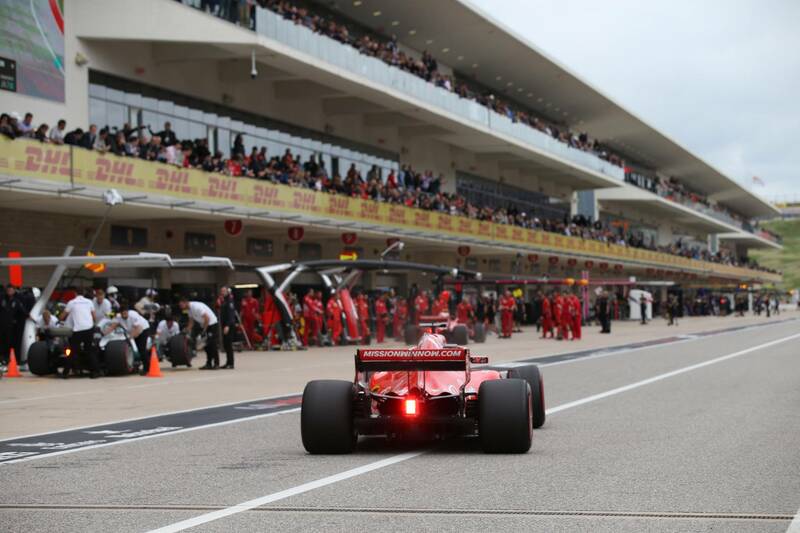 And while Hamilton may have marched to his third straight pole at COTA and ninth of the year in qualifying, Q3 saw Ferrari put up a far more stringent fight than anticipated. Friday’s washout left everyone in the dark regarding the pecking order at the top, with Ferrari then sweeping to a one-two in FP3 to toss its hat into the ring for the fight for pole. Hamilton got a march on the Ferraris in Q1, going half a second clear, before the leading runners opted to run on Supersofts through Q2 bar Kimi Raikkonen, who stuck with Ultrasofts instead. Slipping three-tenths behind Vettel on the Supersofts, Hamilton’s pole position hopes looked to have serious opposition. It proved to be the case through Q3 as just seven-hundredths of a second separated the leading trio of drivers. Ferrari had the edge in the first sector before Hamilton gained the time back in the final sector, eventually pipping Vettel to pole by 0.061 seconds. Both had fairly clean laps, Vettel only lamenting a slight snap at Turn 8 that cost him pole, with news of his defeat sending him into a sweary outburst over team radio en route back to the pits. Hamilton once again proved why he should be regarded as the greatest qualifier in F1 history. Ayrton Senna may hold the mythic status, largely hinged on that Monaco pole lap, yet the kind of numbers Hamilton is producing - now up to 81 poles - and the fashion in which he so consistently produces that little bit extra to gazump his rivals makes it harder and harder to argue the contrary. Performances like this one at COTA need to be given full credit - even if Hamilton himself is always seeing room for improvement. “It wasn’t a perfect lap,” Hamilton said. “I never talk about perfect laps. Naturally, I think that’s what we’re all striving to achieve, but there’s so many parameters out there. You get out there and there’s different gusts of wind every time you hit a corner, tyre temperature differences, a different heartbeat on the different bumps. There’s so many different variables and you’re really just on your tippy-toes the whole way, trying to catch it and grab it and utilise the grip. “The first lap was quite good, but there was a little bit of time loss I think in a couple of corners. Turn 11, Turn 12, maybe 13 and a little bit in 20 – but that second one, I was obviously able to capitalise and make sure I didn’t drop the ball. But Ferrari also deserves plenty of praise for its performance today. The advantage Mercedes has enjoyed in recent weeks has been daunting, yet both Vettel and Raikkonen were able to push the Silver Arrows all the way. Leapfrogging Valtteri Bottas is very good news in terms of hoping to postpone Hamilton’s seemingly inevitable title victory, proving the Ferraris are a match for pace. The gap Ferrari has made up in Austin is sizeable. Since the last Ferrari pole at Monza, scored by Raikkonen, Vettel’s gaps to Hamilton have been 0.552s (Singapore); 0.556s (Russia); and 4.432s (Japan, and an anomaly of course). To have taken this half a second swing back is a very good sign indeed for Ferrari. But it is all too little too late in terms of the title race. Vettel’s latest slip-up in practice means he will start fifth on Sunday, with Hamilton on pole. If Hamilton wins, Vettel must finish second to keep the title race going to Mexico. Getting the better of both Bottas and - unless, unlike Monza, he is compliant - Raikkonen is not going to be an easy feat. Raikkonen will certainly be a man to watch in the opening stages of tomorrow’s race given his choice of starting tyre. Running on the Ultrasofts, he should have the pace edge on Hamilton early on, even if they will drop off quicker and force him into an earlier stop. With teams largely in the dark over tyre life given the lack of dry running this weekend, Raikkonen’s more aggressive strategy could play into his favour, perhaps even doing Vettel a favour in the process. A Hamilton pole with Vettel starting fifth would ordinarily have us getting everything prepared for the title to be decided on Sunday. Yet following such a close qualifying and with Raikkonen in the mix at the front, it’s not looking quite so certain.